Hi there! 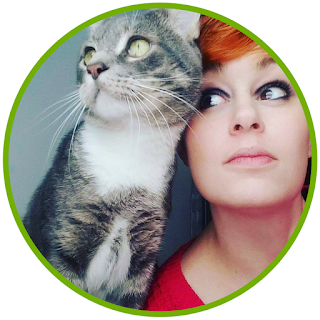 I just happened to stumble accross your articles here, and WOW I love them!! The way you write is so in depth, and I'm very much looking forward to the rest of this series!! Thank you for reading! I am glad you found them helpful. Thank you so so much for all your posts! They're so helpful to me, as just having begun my journey on this path as a Witch . When I read this particular post, I imagined you as a very old wise woman and as I continued to read some of your other posts, I saw that in your pictures your actually a beautiful woman close to my age! 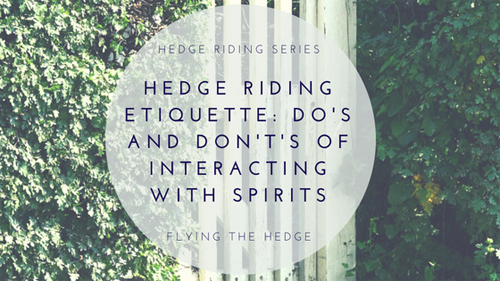 I was nervous about trying to begin hedge riding because I assumed you'd had 50+yrs. Of experience and that I having just stumbled upon this topic, couldn't possibly do it as well. But I'm glad I read this and found your page. Thank you so much for the sharing of information! I am very grateful for your help and knowledge of hedge riding and I look forward to my journeys in the other would soon to come! Thank you for reading and I'm glad you are finding them helpful. Yes, I am a "young" witch; I will be turning 30 this October. You're never to young or old to practice, and to be honest, I have only been hedge riding about 2 and a half years or so. Its new to me too, but it is one of my favorite things to do. I wish you the best of luck on all your journeys!